Press Releases are great for SEO and as i have seen and documented in the past it's a great way to drive a LOT of traffic. In fact we have done a press release that got over a million hits previously and that was an eye opener., so the value of the strategy is not just for ranings, but for what rankings are useful for and that's traffic. However press releases come in different ranges of effectiveness and therefore there are different strategies on how to use them depending on where they are being bought from. In this post i will cover three types as i see them from the stuff that i am aware of that you can buy ranging from low cost SEO press releases to yahoo news press releases. All of these have Google news inclusion too. Let's start with the quality 400+ press release service first. This is a gig that i buy on konker.io and they cost $40 for distribution and an extra $15 if you get the to write the PR for you. This is a good service for adding a boost to specific blog posts that you want to rank. They also accept your own pre written press releases in foreign languages. You can check out this service here and the guys name is LEO, who is also available on skype if needed. This service is great value and can found with a discount on the warriorforum. For just $139.00 they will distribute for you including yahoo news and they write it for you too. 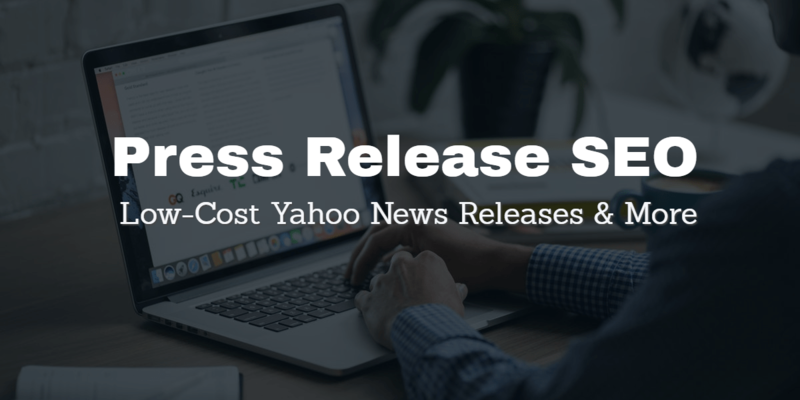 You want to use Yahoo news press releases for new websites, existing websites and for ranking specific posts but these can generate more traffic too. Make sure that with any traffic strategy that you use that you have a call to action and an optin form and some retargeting pixels on your landing page. Next let's talk about my own low cost MassMedia SEO press releases. Now these are not in the same distribution class as the two services above. However, they can have a high impact on long term rankings with other seo tweaks behind them. 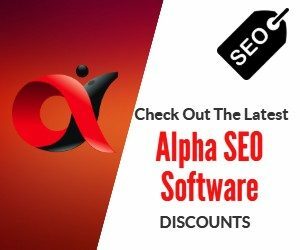 Massmedia SEO Press releases will get 200+ links, and they cost next to nothing, in fact it's less than 10 bucks pre release and your credits roll over month to month even if you haven't used them. However only if you stay a member. Because we have the same server and distribution costs whether you use them or not. Now what we have got here is multi media press releases and as mentioned 200+ links per release, and many are coming from authority sites, but these press releases are best used as second tier links and for embedding youtube videos and linking to youtube video with ONE link in description to your blog post or whatever content that you want to rank. We do a lot of work behind the scenes too with indexing and pinging links, bookmarking your press release and running additional syndication via IFTTT. Why they are best used for second tier is that many of the high authority domains we get links from are financial type sites. It's the relevance factor that is a concern for linking to a blog post for example and and we do not pretend otherwise. However, at 47 bucks for 5 Press releases per month you can get great value from these as well as resell them too. It comes with two tools to help you create press releases. The other is a desktop tool that scrapes PR’s from other services and you edit, tweak, spin or whatever and you have a perfectly formatted release done in less than 5 minutes. I use all three types at different times with different goals. The first two are great for increasing the number of referring domains to your money site or blog and massmedia is great for packing serious power as second tier links to your videos.